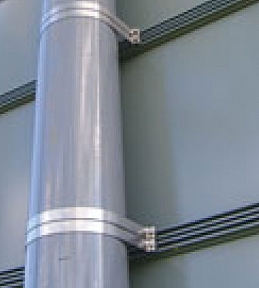 Dibond (Aluminium Composite) signs are mainly used when strength is a factor. 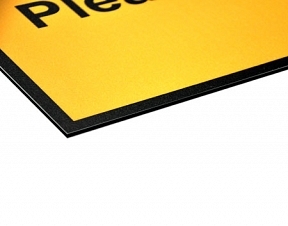 Dibond signs are very temperature stable, very flat and offer great resistance to physical impact. Dibond signs are often used for shop fascia signs, wall signs, information and directional signage. Dibond signs can also be framed using the Panatrim framing system. Dibond signs are 3mm thick. Delivery time on this product is 2-3 working days, if you need it sooner please call us on 01283 576017 and we'll do our very best for you. Printed Dibond offers an extremely durable, outdoor or indoor rigid sign panel that can be used for a magnitude of different applications. Printed Dibond is just 3mm thick, light weight and tough making it the preferred choice for outdoor signs including shop fascia boards & wall signs. 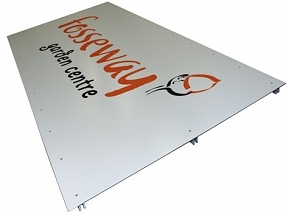 Dibond signs can easily be drilled for direct mounting or they can be supplied with rails. 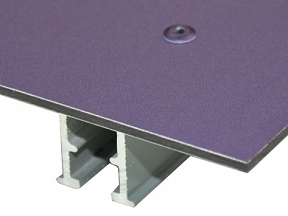 Printed Dibond supplied with mounting rails allows for it to be post mounted as shown in the images using post clips. When ordered complete with rails, the rails are fitted to the Dibond by rivets prior to printing, this means the rivets are also printed over with the artwork. The rivets are naturally silver in colour so if the area where the rivets are placed has no print or is white in colour, the rivets will be silver in colour. For larger Dibond signs where more than two rails are needed, we rivet the top and bottom rails across the length, the middle rails will only be riveted at each end to minimise the rivets in the artwork area. Due to their durability printed Dibond panels are often used as advertising boards or sponsorship boards around the edge sports grounds and in areas where they have exposure to people in high numbers.